We've moved! 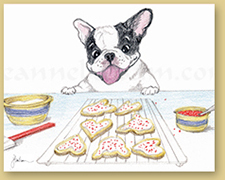 Looking for charming French Bulldog notecards to brighten someone's day? All my blank Frenchie notecards are now available on Etsy. Visit my Etsy shop (JBalsamFrenchieArt) and find the cutest cards ever.